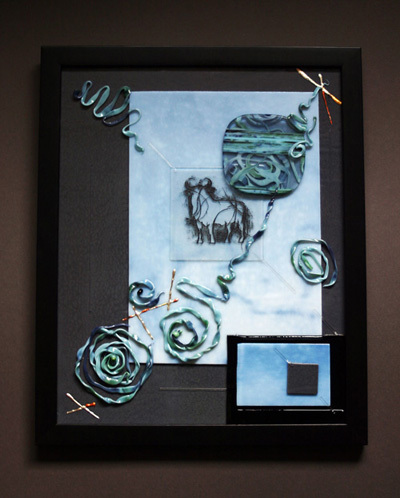 In 2010, I created a series of glass pieces I referred to as Asta de Toro Azul (the horn of the blue bull). The framed piece above became my "journal page" reminding me of the inspiration and execution of that series. It will be on display through December 9th at the Foundry as part of a SAVA exhibit.